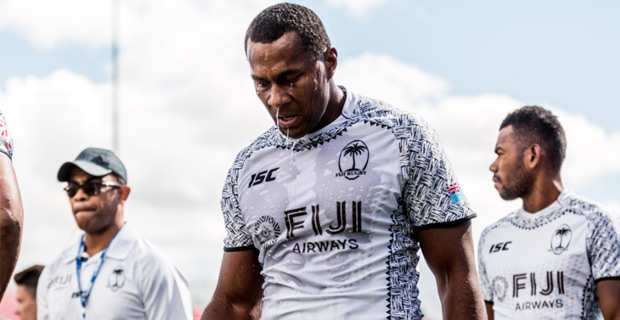 The Fiji Airways Men’s National 7s team must win against South Africa in their last pool match of the Singapore 7s in order to secure a Cup quarterfinals spot. This comes after they lost their second pool match to Scotland by 19-12. Some desperate defense by the Fijians in last minute wasn’t quite enough as the Scottish put on an impressive finish to the game to score their winning try just before the final hooter. Fiji had a slow start with Scotland providing the pressure to score the first try in the match. Aminiasi Tuimaba replied with a try soon after before the Scottish crossed over the try line again for their 2nd. Fiji trailed 12-5 at halftime. Fiji scored their second and final try through Tuimaba following some good passing and foot work skills. The Scottish came back strong to score their winning try through Max McFarland. Fiji’s Alosio Naduva was also yellow carded in the match. Fiji and Scotland have met 46 times before on the HSBC World Rugby Sevens Series and Gareth Baber's side have won 39 of those encounters. Fiji will now take on South Africa at 11.28pm tonight. The Cup quarters will start at 3.30pm tomorrow, the Cup semifinals kick off at 7.50pm tomorrow and the Cup final will start at 11 pm.